This trail zigzags across the prestigious Lavaux terraced vineyards, a UNESCO World Heritage site. Created through wine-related activities over the years, this land-scape and its typical villages are of universal beauty. A prestigious terraced vineyard nestles on the Lavaux slopes. 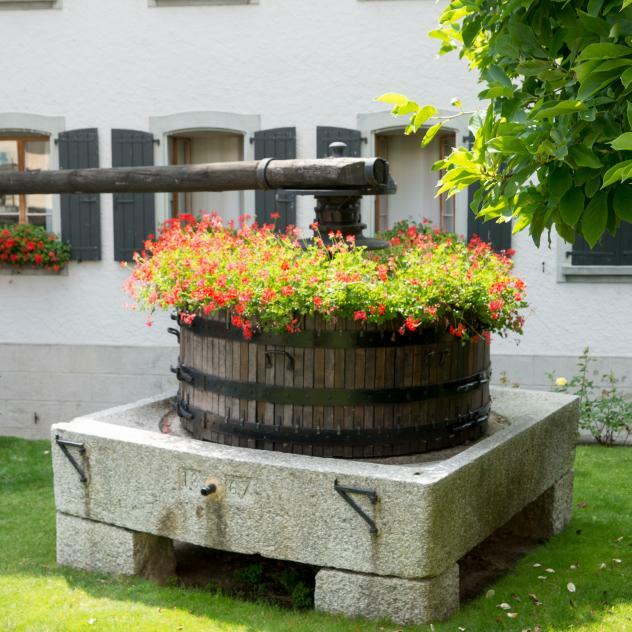 This unique construction was man-made in the 12th century in order to produce highly reputed wines. 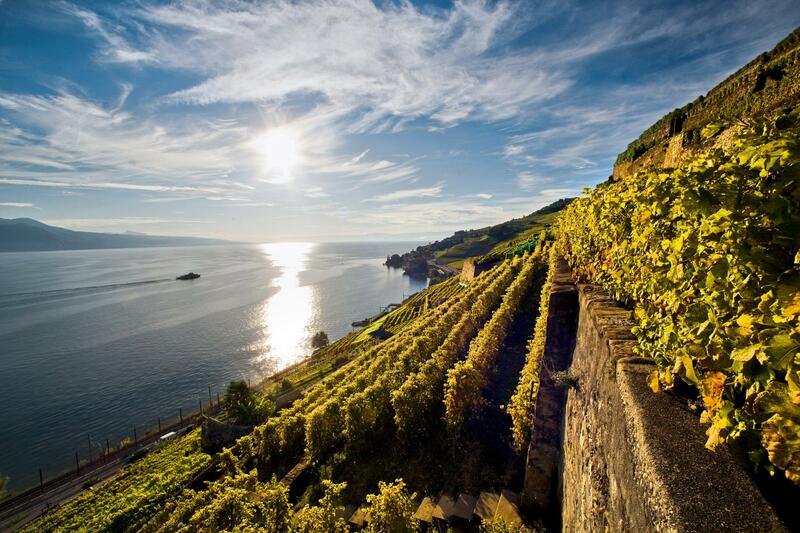 Lavaux has been part of the UNESCO World Heritage Programme since 2007. The vineyard paths give visitors the impression of walking through the terraced vineyards between heaven and earth. A wineyard trail overhanging the lake and crossing pictoresque villages is signposted between St. Saphorin and Lutry. St. Saphorin features a church dating back to the 15th century. The Vinorama and Glérolle Castle in Rivaz invite visitors to a detour. Signposts all along these paths explain the mysteries of vines and wine. Monuments such as Tour Marsens in Epesses and the medieval village in Lutry bear witness to the region's past. 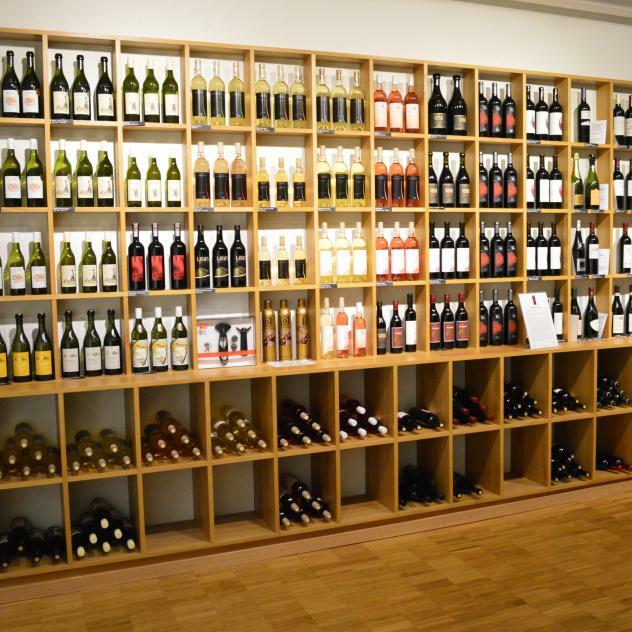 Welcoming wine cellars in the village centres let visitors discover the regional wines. 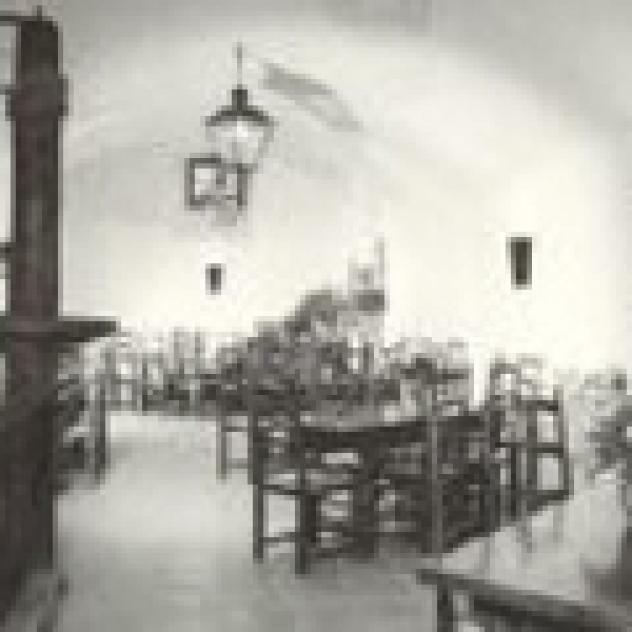 A vast choice of hotels and restaurants is available. Season: As grape harvesting starts at the beginning of September, there will be more traffic on these paths. Hint: A sun-exposed site. Take a hat and sun cream. Great wines require great vineyards but also good principles: authenticity, excellence, innovation, passion, audacity, responsibility and service-mindedness. 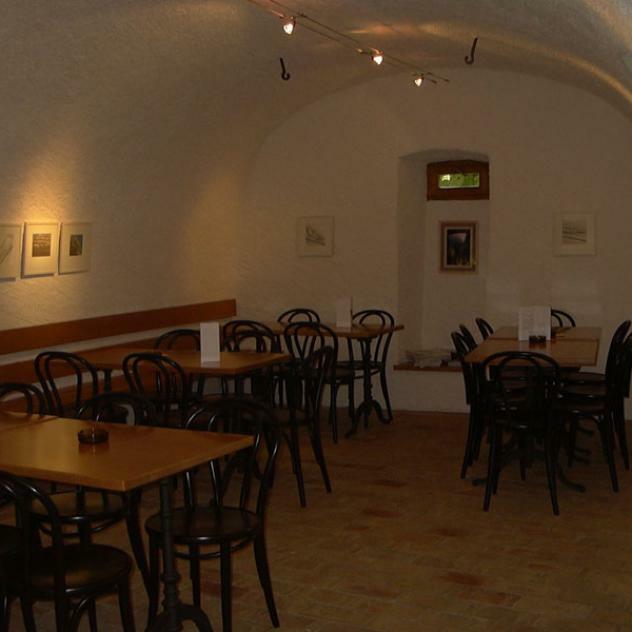 Located between Grandvaux, Cully and Epesses, in the UNESCO-listed Lavaux vineyards, the Riex wine cellar is run by the region’s winemakers who take turns serving their wines. 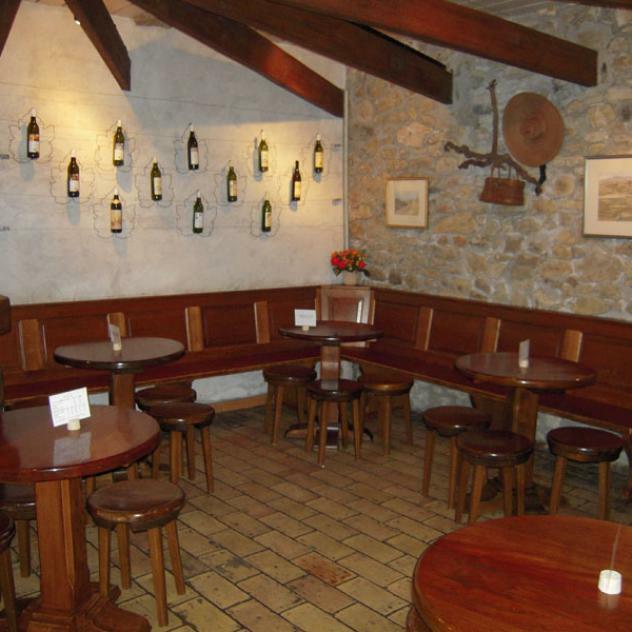 Situated in Rivaz, between St-Saphorin and Chexbres, Bacchus Vinobar is the place for connoisseurs of Swiss wines and fans of local specialities to sample and buy the wines of the appellations Rivaz, St-Saphorin, Dézaley and Calamin.